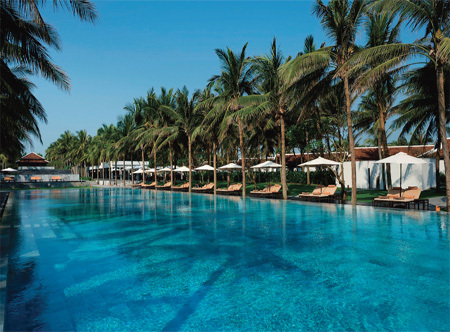 This stunning all villa resort sits on a kilometre-stretch of Ha My beach amid lush landscapes. 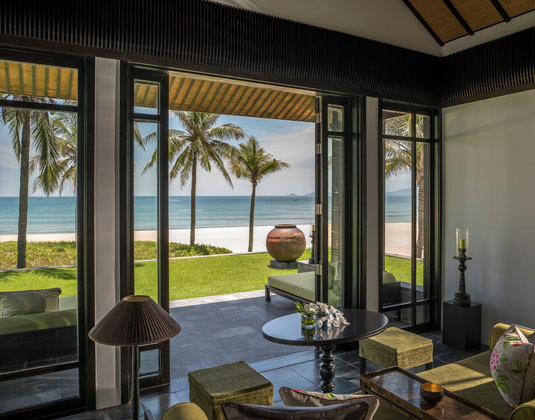 Sleek minimalist villas combine stylish beachside living with easy access to three dazzling UNESCO sites: Hoi An Ancient Town, the Imperial City of Hue and My Son's temple sanctuary. Experience local heritage in the Cooking Academy and at the Heart of the Earth Spa; try thrilling watersports; lounge by three pools or chill on daybeds at the Beach Bar. Tennis, exquisite dining, a great children's club and nearby golf help make this an exceptional resort for all ages. In one bedroom villas with air-conditioning, bath and separate shower, mini bar, safe, lounge area and private garden with outdoor shower. 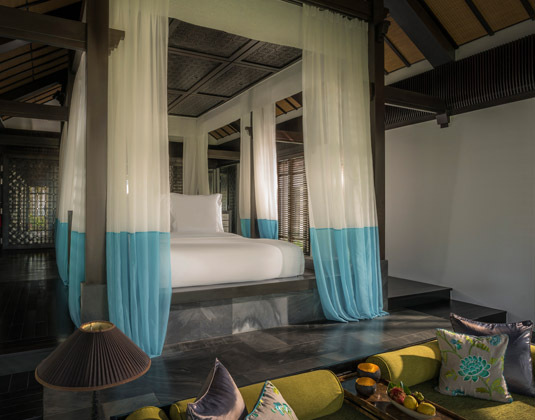 one bedroom beachfront villas which are one or two rows from the beach, one-five bedroom pool villas which offer a living and dining area, private swimming pool, butler service, complimentary airport transport and complimentary Premium Wi-Fi. 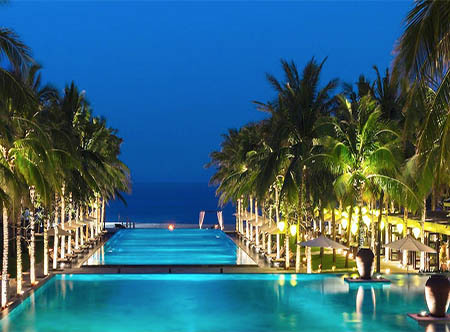 30 minutes from Danang airport. 01 Sep-22 Dec 19 if you book at least 60 days before arrival. 01 Jul-31 Aug 19 07-22 Jan 19 30 Jan-31 Mar 20 if you book at least 90 days before arrival. 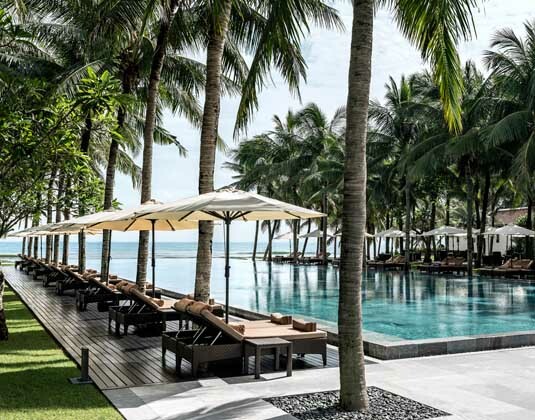 01 Sep-22 Dec 19 if you stay at least 7 nights also receive one 60 minute Vietnamese massage for 2 people per room per stay (not valid for children under 5). 01 Jul-31 Aug 19 07-22 Jan 20 30 Jan-31 Mar 10 if you stay at least 4 nights. 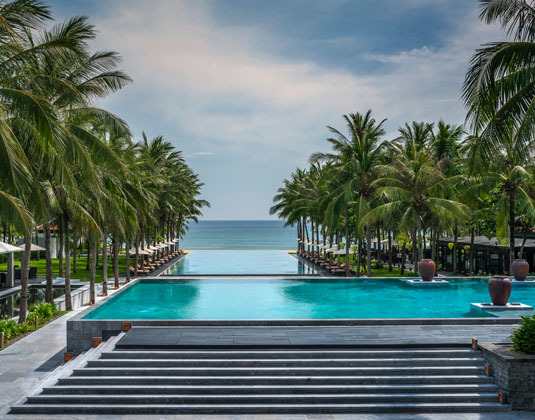 01 Jul-31 Aug 19 07-22 Jan 20 30 Jan-31 Mar 10 if you stay at least 7 nights, also receive one 60 minute Vietnamese massage for 2 people per room per stay (not valid for children under 5). 01 Apr 19-31 Mar 20 receive a bottle of sparkling wine and a honeymoon cake.